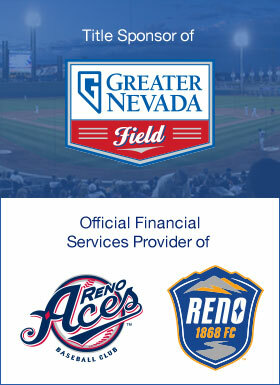 GNCU members can get half off Reno Aces game tickets plus can enter to win the chance to throw out the ceremonial first pitch! Aspire Checking lets you earn 4.00% APY* on qualifying balances* up to $50,000 - that's up to $2,000 per year! Get up to $120 cash back per year! With GNCU’s new Cash Back checking, you can qualify* to earn cash back every month. Free student checking also available. Lower monthly payments like a lease, with the benefits of conventional financing. From accounts that make the most of your money, to loans that fit your budget, to services that make both personal and business banking easier, Greater Nevada Credit Union has solutions that fit your needs. Our passion is to help more people live greater, and we're here for all Nevadans reaching for bigger dreams while celebrating all of the smaller moments that happen in between. Ready to start Living Greater? Become a member of Greater Nevada today.